Plenty of parking in front of church. There are toilet facilities in church. There are 6 hostelries including some serving food within 10 minute walk. Stourbridge Junction station is a 5 minute walk. 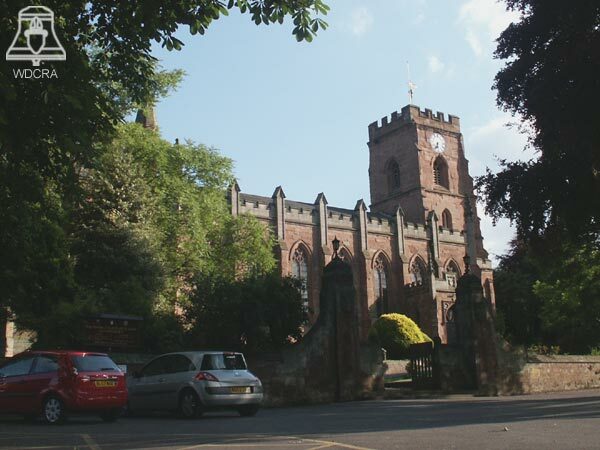 The town of Stourbridge is famous for its glass making, although this has declineddeclined in recent years there are factory shops and museums to interest non-ringers, see Dudley Tourist information for more details.